The Rothschild Hotel is a tribute to the famous philanthropist Baron Edmond de Rothschild, who we believe is entitled to the title of the country’s first start-up entrepreneur. The concept of the hotel follows the famous Baron, from his residence in Paris to his activities in Israel. 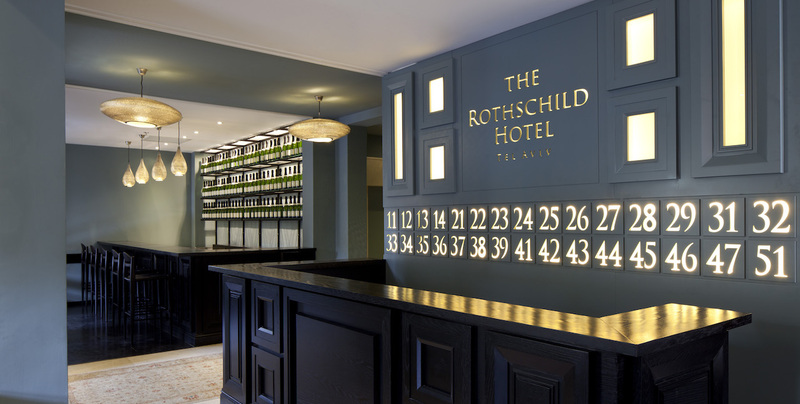 The hotel beautifully reflects Israeli culture, part of which was inspired by Rothschild’s own French cultural influences. The design of the guest experience draws on all the senses to create a unique and total experience. Parking is available for hotel guests only, with a vehicle that fits the parking lot conditions. Please update the reception clerk about your vehicle measurements to examine whether it will fit. Our events are conducted in an intimate and romantic atmosphere, in a prestigious setting, with tasty and spectacular food. It is appropriate for high-level private and social events. Discover the city of Tel-Aviv and Israel's Hidden Treasures with a variety of private tours, including street art, architecture, street food and more. Available by demand. Varying prices.